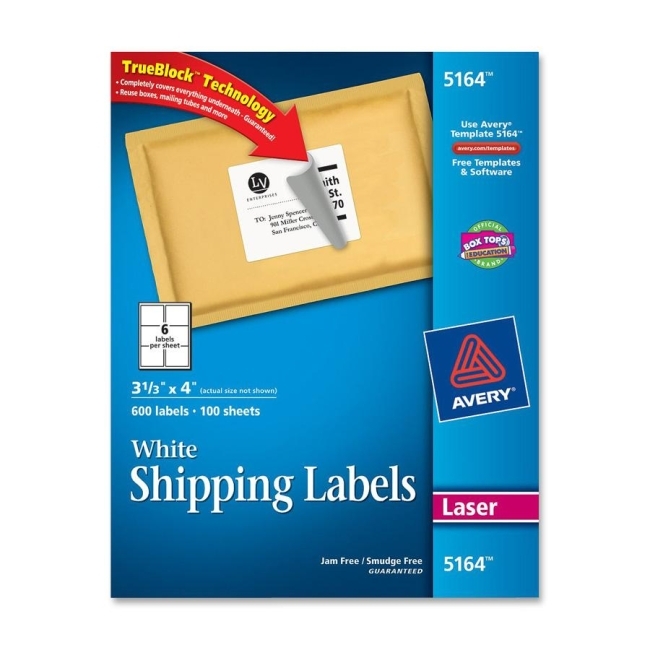 Create professional-looking labels quickly with Shipping Labels with TrueBlock Technology. Labels with TrueBlock completely cover everything underneath so you can re-use mailing tubes, boxes and more. Bright white labels have permanent adhesive and are jam-free and smudge-free. Perfect for creating professional-looking mailings, shipping, bar coding and organizing. Labels are designed for use in inkjet and laser printers. Avery offers many easy-to-use templates for Microsoft Word and other popular software programs.